Gastrointestinal (GI) complications of diabetes mellitus are increasing as the incidence of diabetes mellitus rises, and a large number of diabetic patients complain of GI symptoms. The most prevalent intestinal symptoms in diabetics are abdominal pain, distension, nausea, vomiting, constipation, and diarrhea. 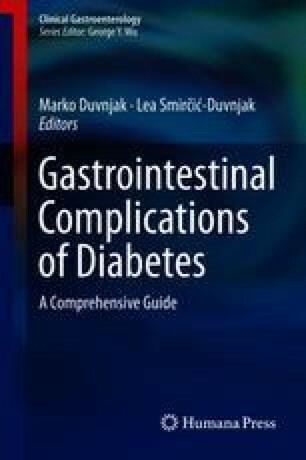 Gastrointestinal symptoms can be associated with diabetes mellitus complications, especially autonomic neuropathy and poor glycemic control. Severe and permanent intestinal symptoms can ruin health status and quality of life.